“Leaf Background” is gold embossed on white card stock and edged with a gold Krylon Leafing pen. 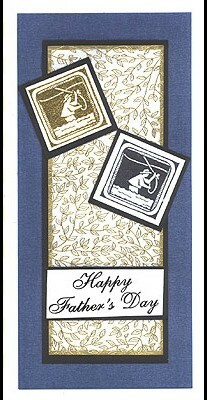 “Happy Father’s Day” is embossed in black on white glossy card stock. 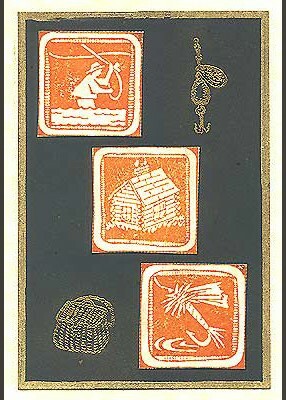 On one piece of white card stock, “Bold Block Fisherperson” is stamped in black, and on another piece of white card stock, it is embossed in gold. The leaf background piece is layered on black card stock and attached to blue metallic card stock. 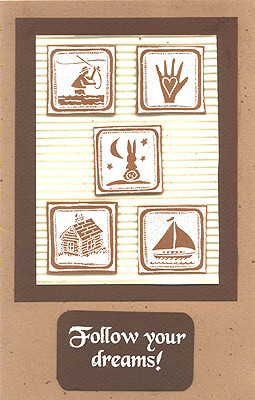 The three pieces are layered on black and attached to the card as shown. 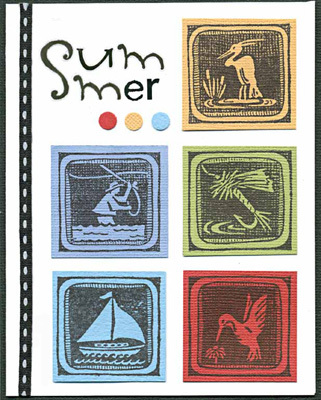 Card measures 4″ x 8 1/2″. Card by Margaret Wiggin.